Lesson 17: In this lesson, you will be introduced to your first (of very many) connecting particles in Korean. You can usually use these particles to separate two two ideas/phrases/sentences. In this lesson you will learn about 고 and how it can be used in sentences, also using the example of ~고 싶다. You will also learn that some words (usually position-like words) play by different rules than most verbs in these situations. Lesson 19: In this lesson, you will learn how to make comparative and superlative sentences in Korean. Using comparative sentences, you will learn how to make sentences like “I am more beautiful than you” or “he is faster than his brother.” Using superlative sentences, you will learn how to make sentences like “I am the most handsome person in the world.” In addition, we will take an in-depth look at the word 더, which is commonly used in comparative sentences. Lesson 20: In this lesson, you will learn how to use the words 잘/못 and 잘하다/못하다 to indicate that you do something ‘poorly/well.’ It gets a little complicated in this lesson, especially when distinguishing 못 from 못하다 and 잘 from 잘하다. Nonetheless, everything will be explained to you very thoroughly! 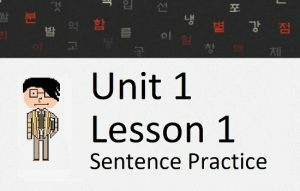 Lesson 21: In this lesson, you will learn how to modify your sentences to ask questions in Korean. You will first learn how to do this without any ‘question’ words (Did you eat yesterday? ), and then you will learn about how to apply words like “why,” “when,” “where” and “who” to make questions. This lesson is so long, I had to split it up into two sections. So, this lesson will continue into the next lesson, where you will learn more about how to ask questions. 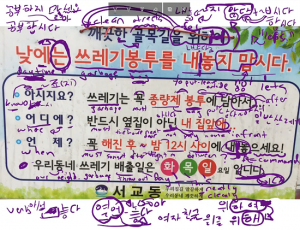 Lesson 22: In this lesson, you will build on what you learned in Lesson 21 by learning more ways to ask questions in Korean. Specifically, you will learn how to ask questions using the following words: how, what, which and how many. Asking questions with “how many” is slightly more confusing than the rest, so we will spend some time showing you the different ways you can use that. Lesson 23: In this lesson, you will learn how to use colors in Korean by applying the ㅎ irregular. In addition, you will learn about the words 이렇다, 그렇다 and 저렇다 and how the ㅎ irregular can be applied to those words. Lesson 24: In this lesson, you will learn how to apply some more words (전, 후, 이래로, 안, 이내) after words of time to mean (after, before, since, within). The information in this lesson will build on previous lessons where you learned about dealing with time in Korea. Lesson 25: In this lesson, you will learn how to use words like Anybody, Somebody, Everybody, Nobody, Nothing and Nowhere in Korean. These words are different in a lot of ways from other words in Korean, so make sure you pay attention! Lessons 17 – 25 Mini-Test: Test yourself on what you learned from Lessons 17 – 25! 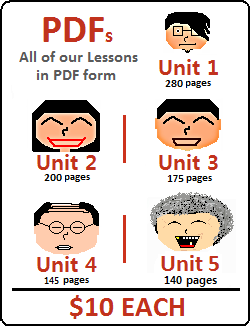 A Mini-Test like this will be uploaded after every eight lessons. Don’t worry if the test doesn’t go so well – this website is here to help you! 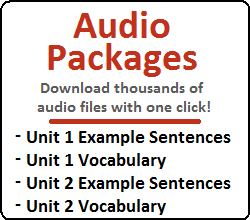 Click here to jump to Lessons 26 – 33 in Unit 2. Or, click here to check out all of Unit 2.